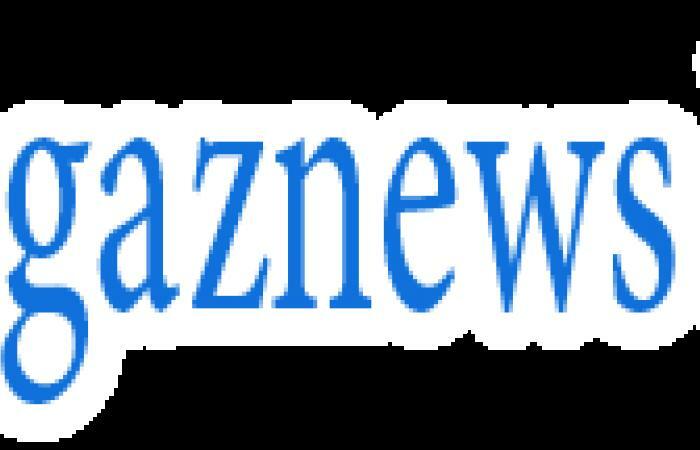 A seven-year-old boy from Berkshire has become the youngest person in Europe to land a backflip on a scooter. 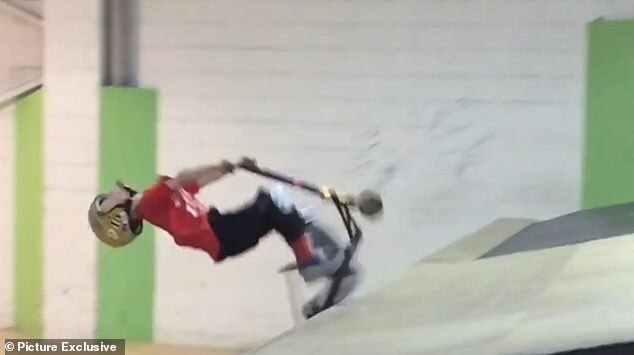 Tyler Hainey has only been riding for 16 months but he already has an army of Instagram followers, two titles under his belt and is dreaming of world-class competitions. 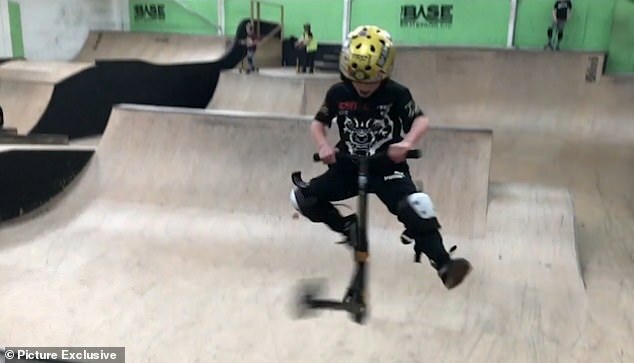 The young prodigy from Bracknell has earned the nickname Little Wolf from the scooter community and spends all his time after school honing his skills. 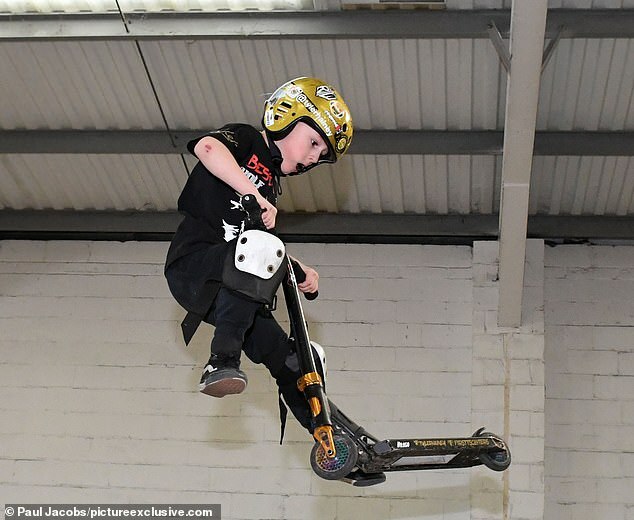 With his father Brian, the 3ft7in youngster has travelled hundreds of miles to try out skate parks across the United Kingdom and he is under-eight scooter champion in the country. Confident Tyler has refused to be stopped by a few knocks and hopes to win gold if one day scooter riding enters the Olympics. Even a scar from a split chin needing five stitches earned while trying to land the impressive backflip has not put him off.